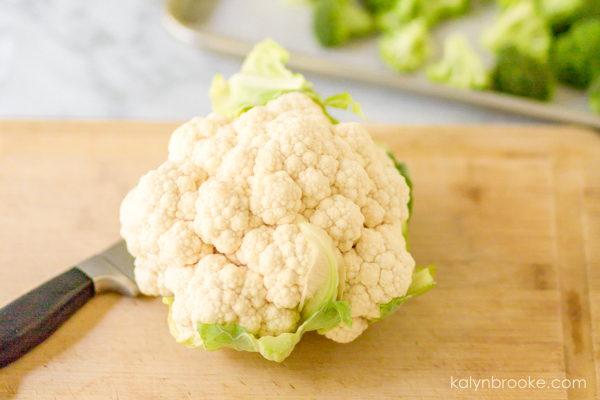 The secret to eating more vegetables: find a recipe you actually love! This recipe for parmesan roasted vegetables is SO good even picky eaters will ask for seconds. I grew up eating three vegetables—carrots, broccoli, and corn. Oh, and squash, but I try to suppress those particular memories! Needless to say, I wasn't a veggie lover as a kid so I didn't try a lot of new foods. As long as I opted for one of the three veggies I didn't mind, mom was happy. But as an adult, I've become slightly more adventurous. Not because I suddenly developed a new love for vegetables—that's not true! I just try to make healthy choices 75% of the time. My body feels so much better when I feed it veggies over a piece of chocolate cake. Although the latter is certainly more tasty! So the only time I branch out to add asparagus, green beans, and cauliflower to my menu is when I know how to cook them the right way. 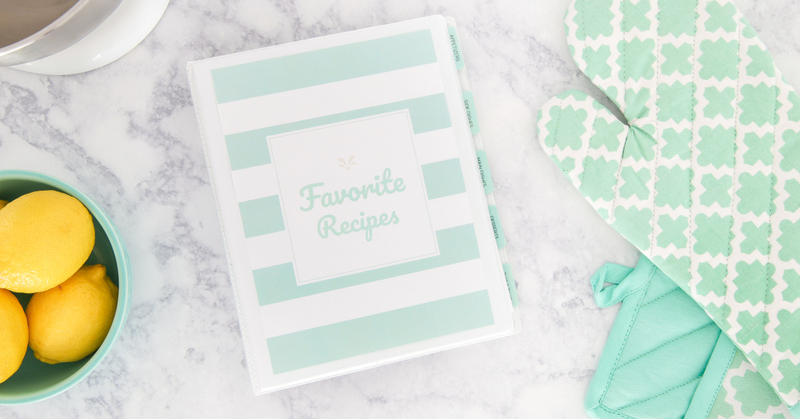 The secret to eating more vegetables is this: find a recipe you actually love! 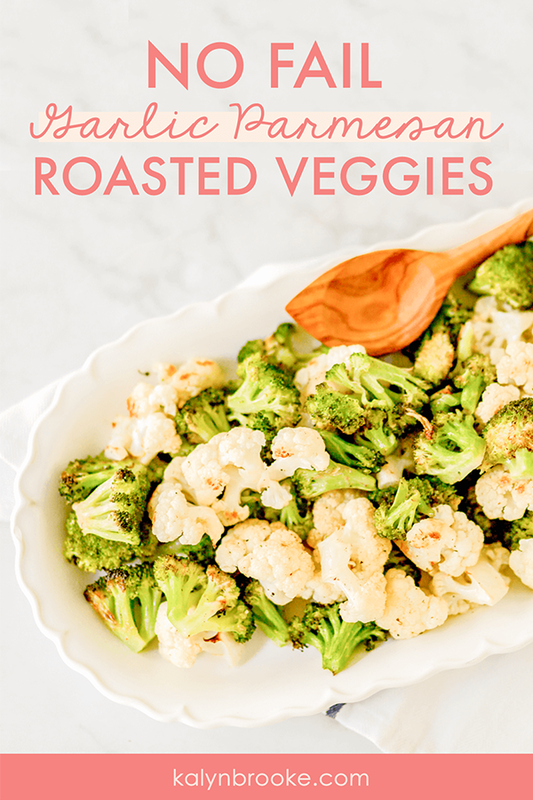 This recipe for roasted vegetables with parmesan is SO simple and tastes much better than anything steamed. 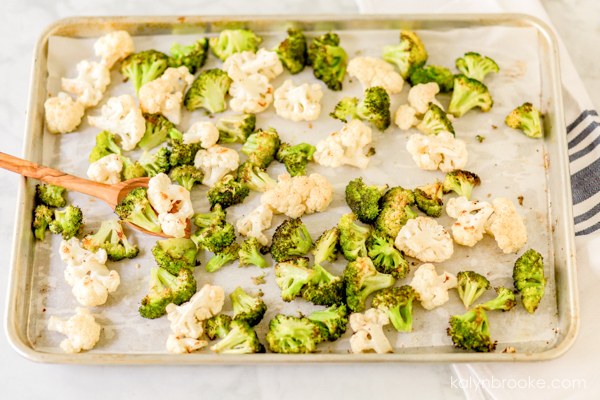 The oven crisps up the veggies, and the addition of garlic salt and parmesan cheese made these pan roasted vegetables an easy side dish even picky eaters will love. 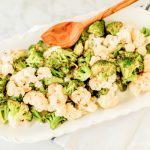 I prefer a mix of cauliflower and broccoli, but you can use any seasonal vegetables you have on hand. In fact, it's a great way to use up a bunch of veggies in your fridge leftover from other recipes. 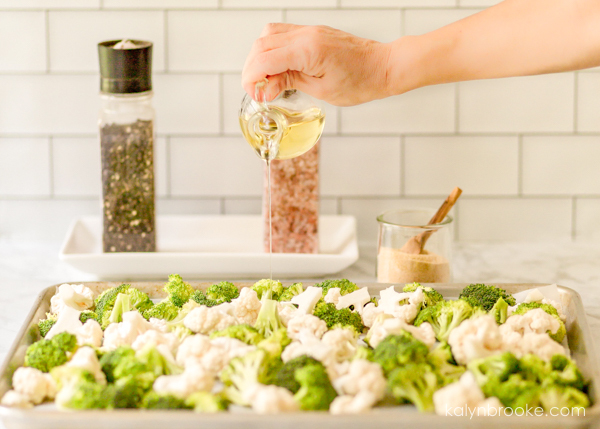 Just mix them together for a thrifty side dish! 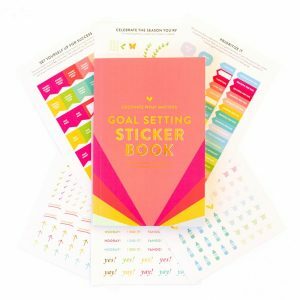 Step 1: Clean and chop your vegetables. 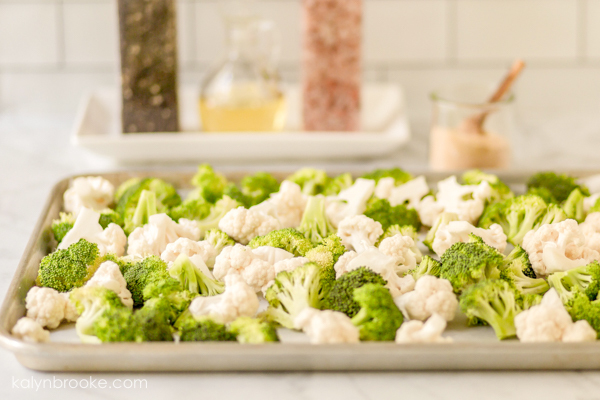 Step 2: Spread the veggies out on a baking sheet lined with parchment paper. Make sure the vegetables don't overlap! This is the secret to perfectly crispy pan roasted vegetables. Step 3: Drizzle with olive oil, then sprinkle with garlic salt, parmesan, and pepper to taste. Yum! Step 4: Put into 400-degree oven for 12-14 minutes. Then stir and cook 1-2 minutes more until veggies are tender and browning around the edges. Note: I prefer fresh veggies (although I know they can be more expensive! 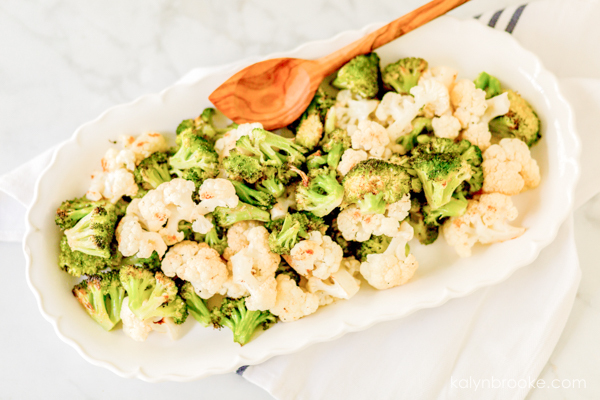 ), but a frozen mix is also an option if you have one handy in the freezer and perfect for this easy roasted vegetables recipe!